Most blues fans have heard of Sonny Boy Williamson. When you hear a Sonny Boy recording, more often than not it is from Alex “Rice” Miller, known as Sonny Boy II, who recorded “Don’t Start Me Talkin’,” “Bring It On Home,” and “Help Me” for labels like Trumpet and Checker Records, a division of the Chess label. But the original Sonny Boy was a harmonica player who grew up in a small town in Tennessee rather than the Mississippi Delta region that many blues artists called home. When he was eleven years old, his mother gave him a Hohner Marine Band harmonica for Christmas. From then on, the harp was his constant companion. After a few years, Williamson began playing with local blues veterans Sleepy John Estes, Yank Rachell and Hammie Nixon. He got some harp lessons from Nixon, who often partnered with Rachell, a fine singer and blues mandolin player. Estes was a blind guitarist with an emotional vocal style. While Williamson developed his sound and style on the harp, he also was schooled on the art of songwriting. It is not often that a twelve or thirteen year old can write an enduring classic like “Good Morning, School Girl,” about a young girl placed off-limits by her father. By 1934, Williamson was traveling to St. Louis to work in the city’s clubs, where he made a connection with singer and piano player Walter Davis, who was a talent scout for A&R man Lester Melrose. It was an important connection as Melrose was a driving force behind the Bluebird Record label, an offshoot of the RCA Victor label. 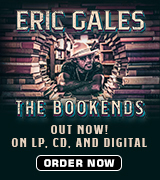 Under his guidance, the Bluebird label enjoyed a lengthy stretch as the nation’s premier blues record company. Williamson’s first recording session as a leader took place at the Leland Hotel in Aurora, Illinois in May, 1938 with Big Joe Williams and Robert Nighthawk backing him on six songs, including “Good Morning, School Girl”. From that point, author Mitsutoshi Inaba traces Williamson’s life, providing in-depth examinations of subsequent recording sessions for more than 120 tracks that the harmonica cut during his short career. The author also takes a look at key sessions where Williamson provided backing for artists like Williams, Rachell, and Henry Townsend. There are also breakdowns of songs with tablature provided by the author, who learned how to play blues harmonica in order to better understand Williamson’s style. Two key parts of the research for the book were provided by Jim O’Neal, co-founder of Living Blues magazine and an early collaborator on the project. The unpublished interviews with T.W. Utley, Williamson’s half brother, and Fred Utley, his uncle, contain information that allows Inaba to go beyond the music in developing his portrayal. Included in the book are twelve pages of b&w photos, extensive notes, and a complete discography of all the tracks Williamson cut under his name. Once Williamson moves to the Bronzeville neighborhood in Chicago, his recording career gets put on hold by a wartime shortage of shellac for record production, then a lengthy musicians strike. But his style was evolving, as he added songs with more swinging, upbeat tempos in addition to using amplifiers to add volume to his already robust sound. Inaba details the saga of a young Billy Boy Arnold meeting Williamson, which led to some treasured harmonica lessons. Finally, the author makes an attempt to sort through the many explanations for Williamson’s death in 1948 from head trauma, suffered at the hands of a still unknown assailant. Another major addition to the book are comments from Joe Filisko, one of the top acoustic harp players in the world in addition to being a noted harmonica instructor at the Old Town School Of Folk Music in Chicago, and an acknowledged expert on early blues harp styles. 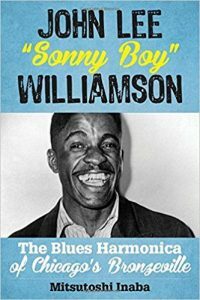 While the author lays out the details of Williamson’s life and music, Filisko’s remarks speak to the impact and influence that Williamson had on blues harmonica. “If you play the harmonica like Sonny Boy I, when you play with the guitar player, you get the really full, powerful sound…I think he figured out how to play the coolest licks…but he he also figured out how to do it with a very big full sound. I think he brought out the essence of the harmonica……I believe that Sonny Boy’s style and licks became so synonymous with blues harmonica that it may have been difficult to be taken seriously as a player if you couldn’t sound like him”. 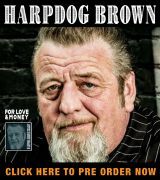 If you have more than a passing interest in the blues harmonica legacy – or want to broaden your knowledge about one of the key innovators of the music – add this one to your reading list.